The basilica is stunning in its simplicity, its masterly decorations and historic value. It consists of two chapels of which the Gothic upper level is alive with color and detail. 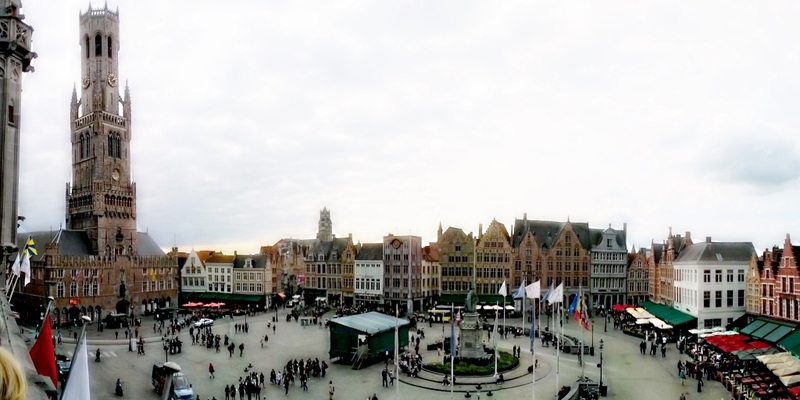 One side of Bruges' main square is dominated by the Halle with the belfry - Bruges' most distinctive landmark. This 83-meter high building dates back from the 13th century. It is also a proclaimed UNESCO World Heritage site. Tiny white plastered houses surround a courtyard where yellow daffodils bloom in spring. The Princely Béguinage Ten Wijngaerde is an architectural complex which formerly housed beguines, lay religious women who lived in community without taking vows or retiring from the world. 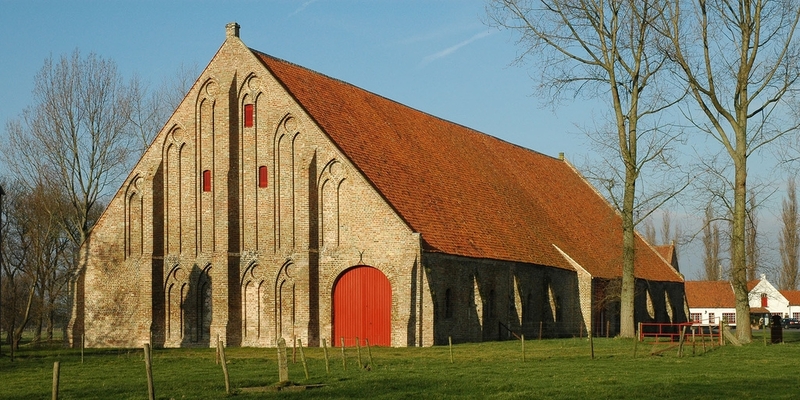 There are no more Beguines living there. Whoever enters the Old St. John Site will be amazed by the almost tangible presence of the rich history of Bruges. This is the spot where one of the earliest infirmaries in medieval Europe once stood. 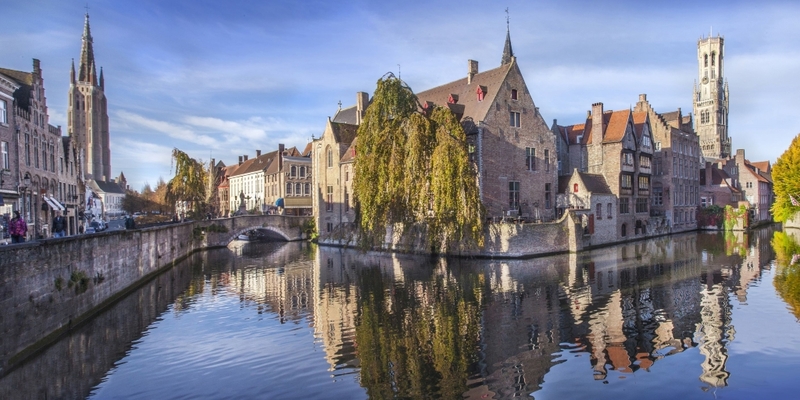 Tucked away at the southern end of Bruges is the beautiful area known as "Minnewater". The centre piece is the "Lake of Love" and" Lovers bridge". A very tranquil location within the confines of the city. A wonderful place to relax. 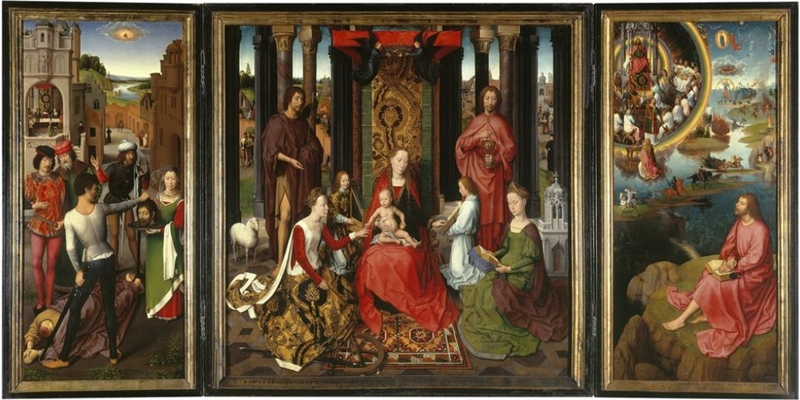 Displaying a giant collection of Flemish primitives by world famous painters like Jan van Eyck and Hans Memling, this museum is Flanders’ pride. This luxurious city palace of the lords of Gruuthuse shows you all about Bruges with the outstanding collections of tapestries, lace, sculpture, furniture and silver. Michelangelo’s world-famous Madonna and Child. The city has always been famous for the handicraft of its lace makers. 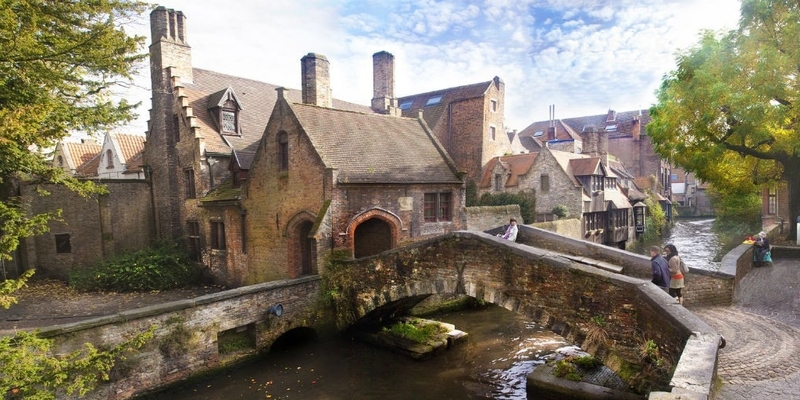 One of the best ways to see Bruges is from the water. As it is the Venice of the North, it would be almost impossible to visit Bruges without floating around the expansive network of canals. This circuit takes you to the green zone south of Bruges via numerous summer castles and magnificent farmyards. 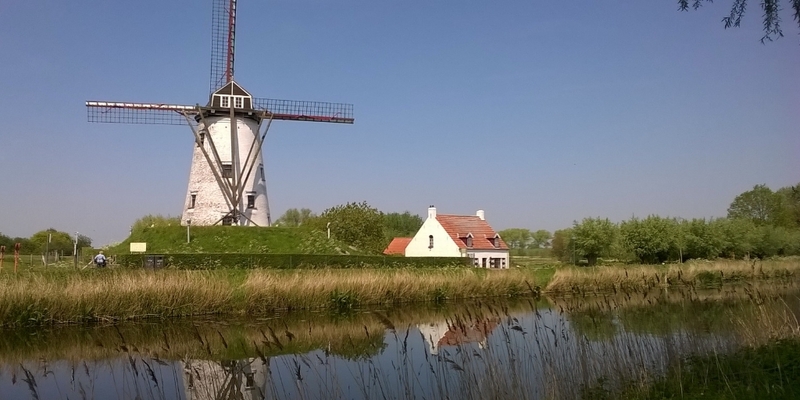 Cycling from Bruges to Damme is a fantastic way to see some of the classic Belgian countryside. The mill welcomes visitors on the way into the town from Bruges. 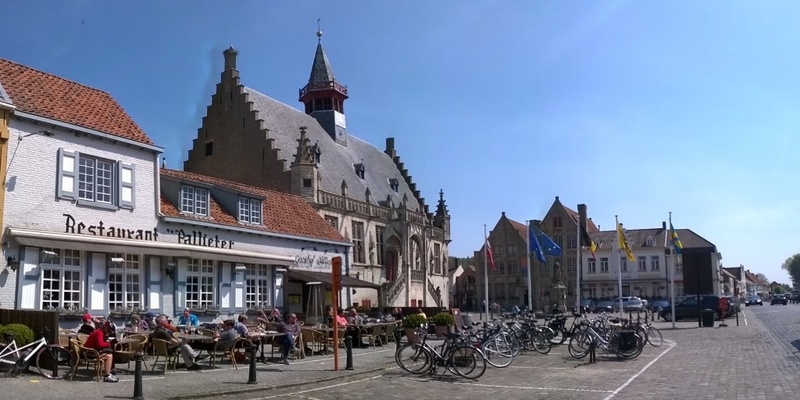 Damme is a lovely, laid back town. It seems as if time has stood still in Lissewege. With its lovely little canal, white-painted polder houses and expansive fields, it serves as a model for the way every Flemish village used to be: charming, nostalgic and romantic. Two other famous art cities in Flanders.